Sales are made by people to people. Technology and tools can keep the process on track, but even the coolest app is no match for the ability to hold a dialogue and clearly articulate value, eye to eye. The problem is most salespeople don’t have the skills or confidence to initiate compelling conversations with customers. This is where Richardson can help. Richardson is a global sales training and sales force effectiveness company. We have over 30 years of experience creating customized sales training systems and solutions that build organizational capability and improves the individual skills necessary to grow profitable sales. Richardson’s approach is highly collaborative, with a focus on enabling the right sales activity and effective customer dialogues at every stage of your selling cycle. To help you achieve your goals, we partner with you to develop a culture of continuous learning that drives sustained improved performance. We equip your sales organization with the effective dialogues skills through our time-proven Sales Effectiveness System that combines assessment, customized sales, training, and integrated performance support tools to sustain and reinforce learning. We partner with some of the largest and most sophisticated companies in the world across all major business sectors providing an emphasis on the necessary skills to execute your sales process and strategy. Our solutions are delivered to the highest standards by experienced facilitators who have deep industry experience and have “carried a bag”. Richardson is the “how” to the “what.” We provide an emphasis on skills to execute in the sales process and tools that enable your salespeople to succeed. Richardson is one of the few sales training firms ranked “Best in Class” by Brandon Hall. We earned this distinction because our sales training and performance improvement solutions are designed – and have been proven – to drive sustained behavior change in sales teams. We have also been named as one of the Top 20 Sales Training Companies by both Training Industry.com and SellingPower Magazine for numerous, consecutive years. Our core differentiator is the Richardson Sales Effectiveness System, a framework that allows us to address the unique needs, culture, and circumstances within your sales force and your company. Using a highly collaborative approach and proven building block curriculum, we focus on enabling the right sales activity and effective customer dialogues to achieve business results. Additionally, we have award winning assessments, instructional designers, and trainers in the world. Richardson has supported global leaders in creating effective sales cultures and executing their sales strategies for over three decades. Our value lies in our time-tested expertise in coaching and developing sales and service professionals so they can better understand client needs, position client solutions, and initiate and strengthen client relationships. 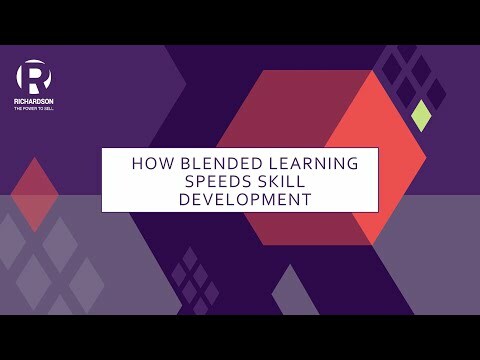 The breadth and depth of our blended sales training curriculum provide high-impact improvement strategies that mesh with our clients’ changing needs.